IMDb’s entry on the Gospel of John with full cast, crew, etc. Posts on my blog about the Gospel of John and Visual Bible International. Matt Page’s posts about Gospel of John. Matt Page’s podcast on the Gospel of John. By Ben Witherington III on Christianity Today. Where can I find the Gospel of John? The film is not currently included in any of the video streaming facilities (Netflix, Hulu, etc.) and it is not available on Amazon Instant Video. Recommended version: there is a three disc version if you can find it. It is choc-full of special features, including lots of behind the scenes and “making of” interviews with the crew. The Gospel of John 2 disc DVD version is available on Amazon). 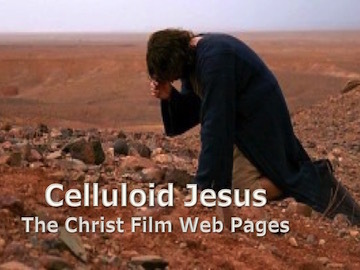 Celluloid Jesus is powered by WordPress at Duke WordPress Sites. Please read the Duke Wordpress Policies. Contact the Duke WordPress team.